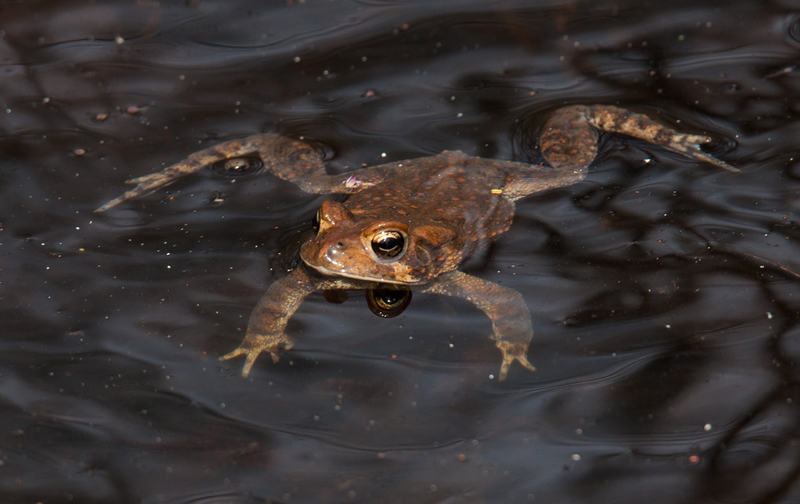 I usually think of seeing toads on dry land, but when it’s breeding time, they head to shallow pools of water. 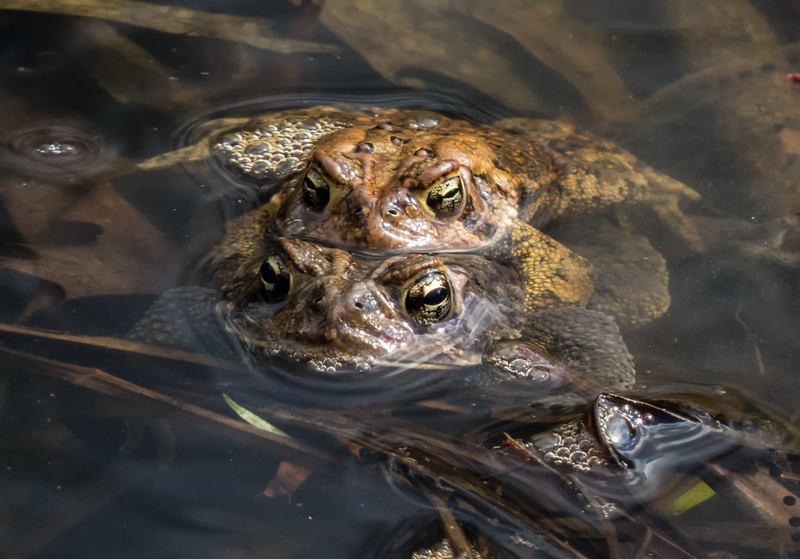 These Eastern American Toads (Anaxyrus americanus americanus) were swimming around this past Friday at Huntley Meadows Park in Northern Virginia. 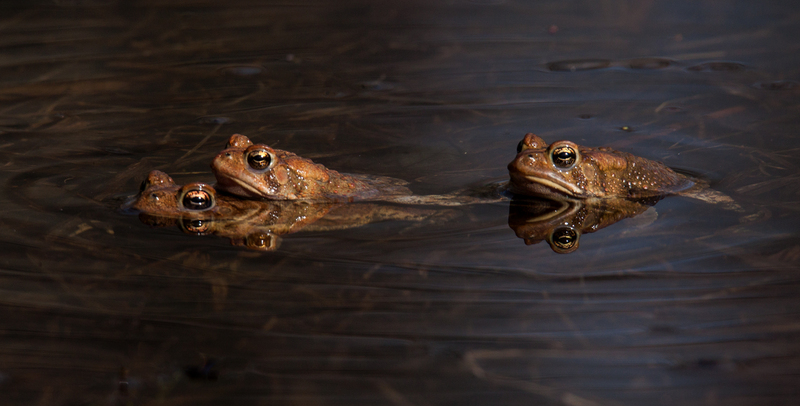 Some of the toads were graceful swimmers, effortlessly skimming across the water. Others, however, seemed to have problems coordinating the actions of their limbs and floundered and splashed around a lot. 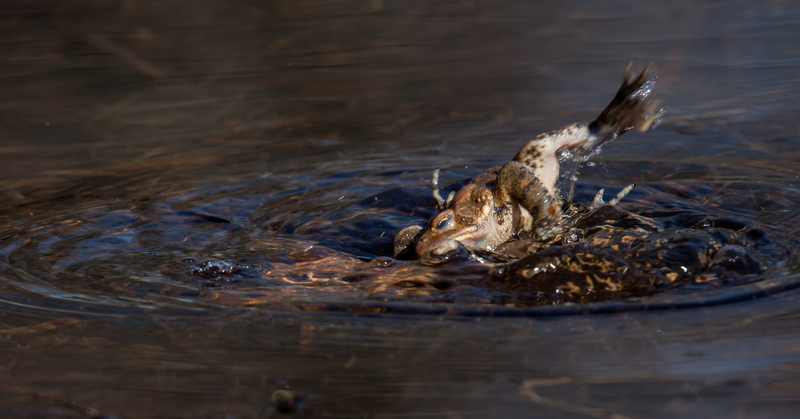 The toads seemed to use a variety of strokes, though almost all of them used a variant of the frog kick with their rear legs. How did the frogs get the naming rights for the kick? 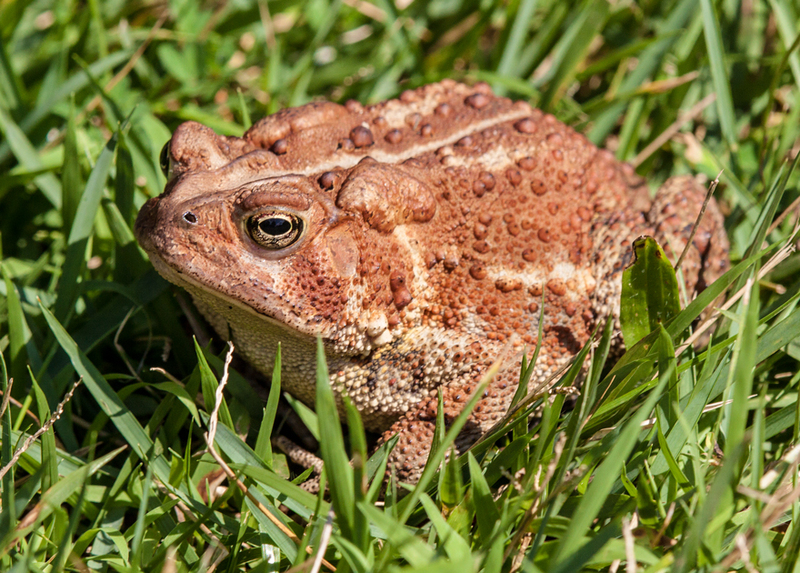 It could just as easily have been the “toad kick.” Perhaps marketing is a bit more difficult when you have as many warts as the average toad. 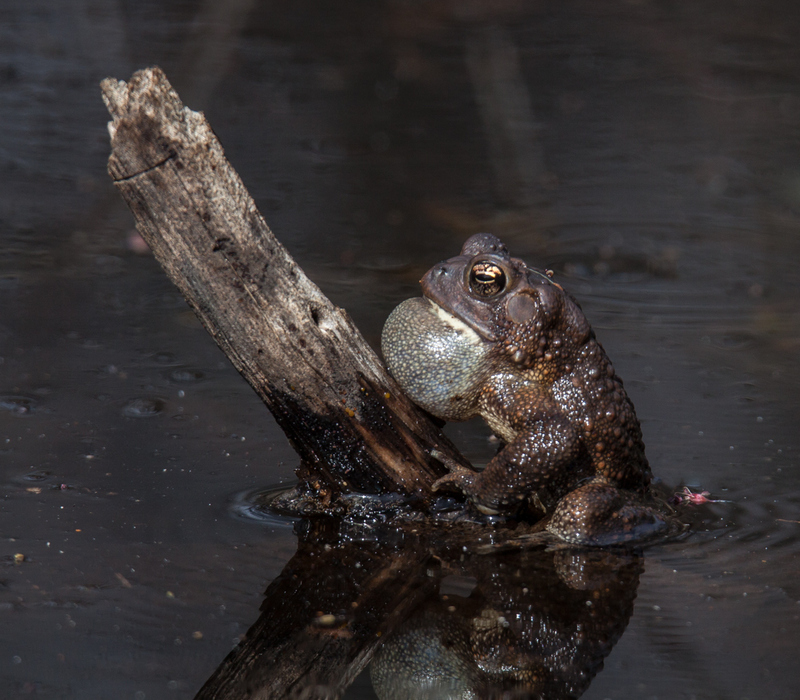 The marsh at Huntley Meadows Park is alive with the sound of frogs and toads—it’s the start of the breeding season. 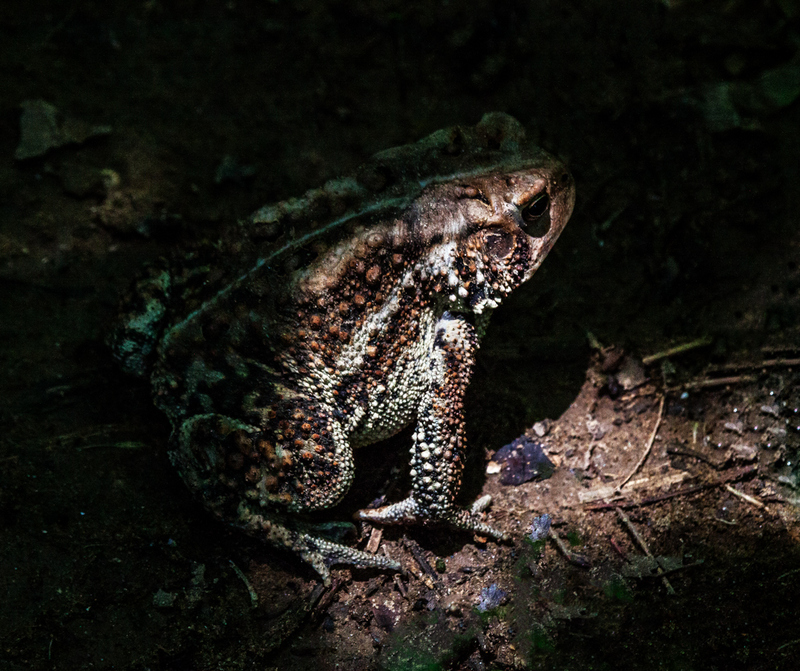 Yesterday, I captured this shot of an Eastern American Toad (Anaxyrus americanus americanus) as he was calling out to females. 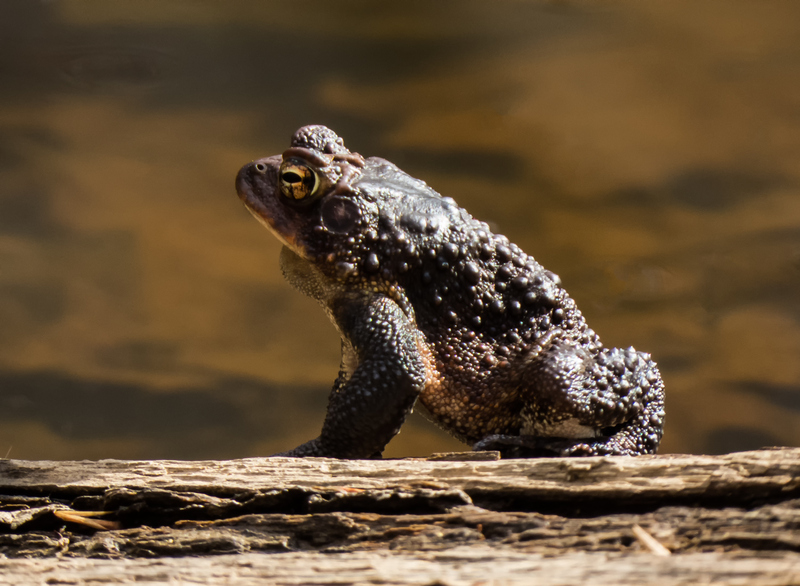 It’s amazing how long the toad is able to hold that long, high-pitched trill, as much as 20 to 30 seconds according to the Virginia Herpetological Society. In case you are curious, I captured this image of Bazooka Joe with Bazooka Joe. 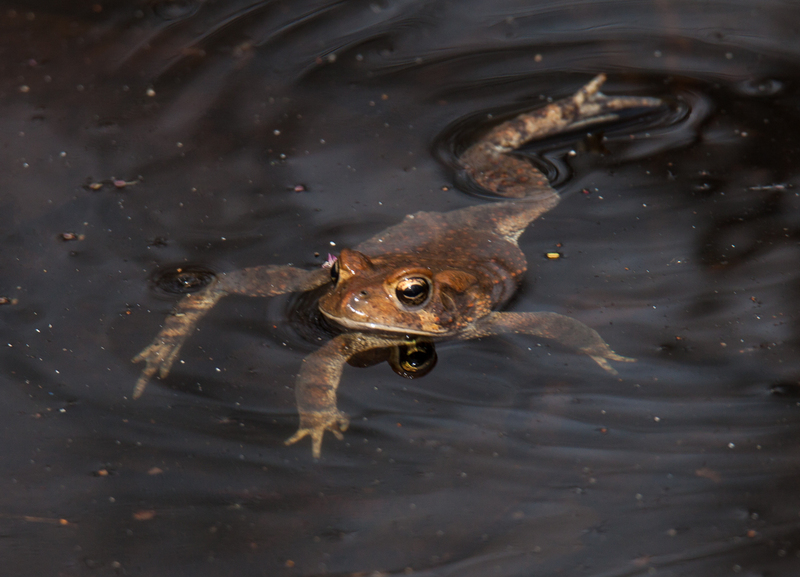 I was thrilled to capture a shot of a frog on a lily pad, but in her newest posting, fellow blogger Ginny Alfano features a whole variety of frogs, including an amazing shot of five little frogs perched on a single lily pad. Check it out! Fourth of July came and went quite uneventfully which is how we like it. As I was weeding my squash garden, I noticed some little tiny “frogs” that were the size of my pinky finger nail. I had seen them before, but wasn’t really sure what kind they were. Upon further study on Sunday, I realized that they are not frogs at all, but baby American Toads!! Just when I think I know so much about nature, I find that I don’t know anything at all. It’s a continual learning process. I think that’s why I love nature so much – it always keeps me thinking. So, following are a small collection of the frogs and toad I have come across in my area. 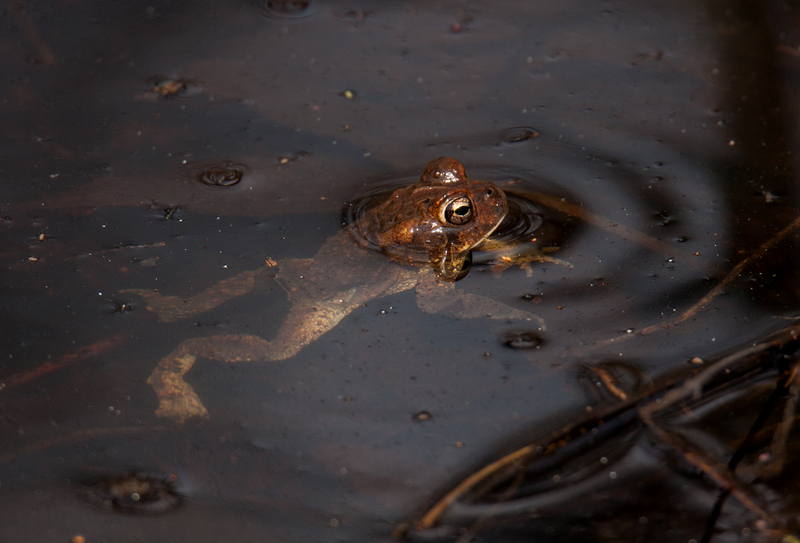 PICKEREL FROG – THE MASTER OF DISGUISE!